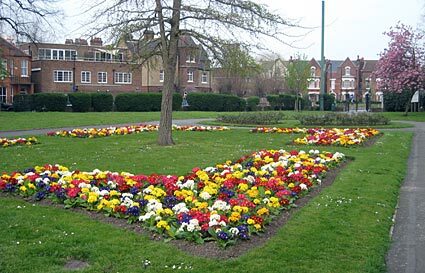 A lovely Victorian park sporting much-admired seasonal bedding displays, Myatt's Fields Park has recently enjoyed an extensive refurbishment. 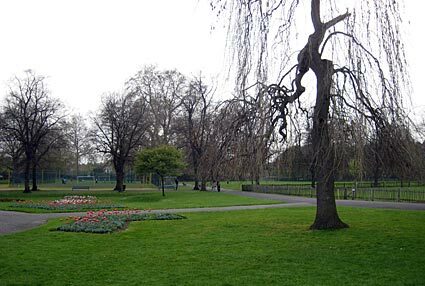 The park is built on or near the site of market garden managed by Joseph Myatt, who grew strawberries and rhubarb for selling uptown in London. 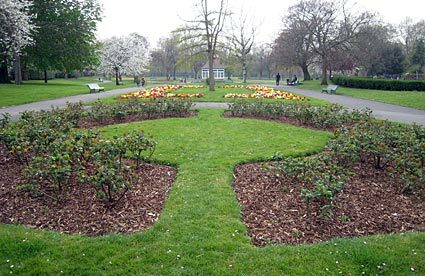 The land was given by William Minet for a public park, opening on 28 May 1889. 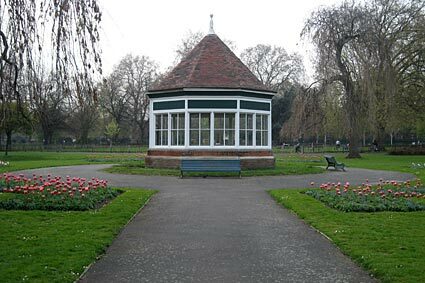 The facilities now include three tennis courts, a bandstand and a ball games area, with a play area, paddling pool and sandpit for kids. 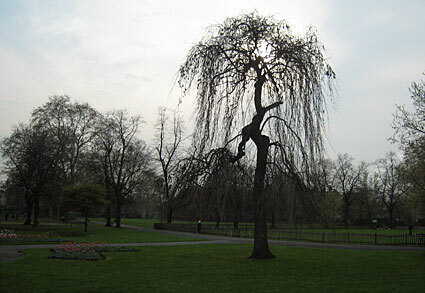 The park also hosts the Harvest It Festival. 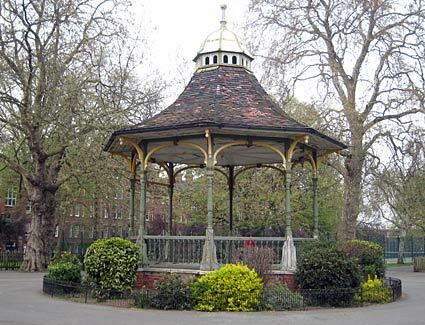 Michael Church, close to Myatt's Fields Park. 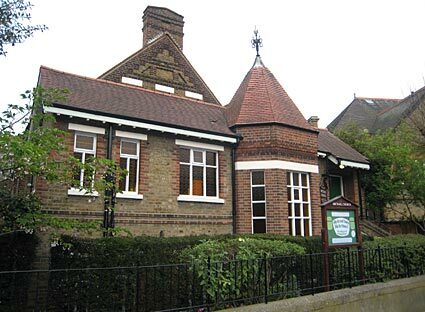 Home to the excellent Lambeth Archives, the Minet Library stands close to this scene in Knatchbull Road and replaced the original 1890 building given by William Minet which was bombed in the second world war. 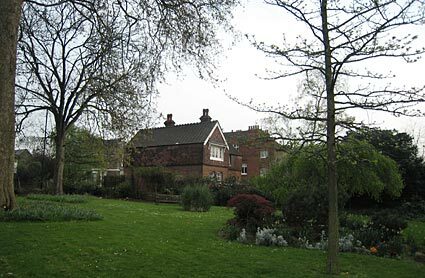 Minet also donated his personal collection of Surrey archives which now forms the core of the Lambeth Archives housed inside. 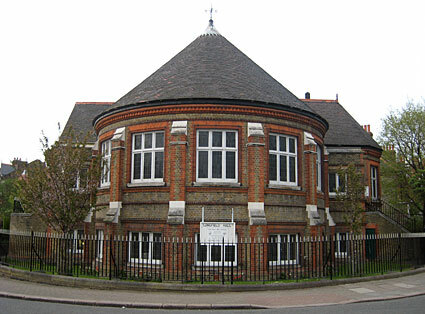 Standing opposite (and seen here) is Longfield Hall whose rounded lines echo the shape of the original library building. 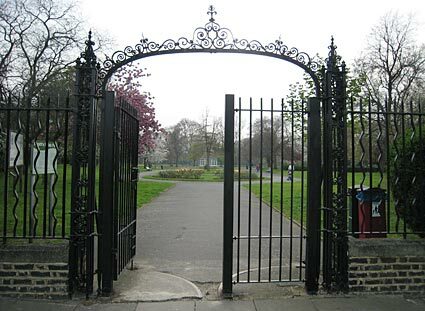 One of several attractive wrought iron entrances to the park. 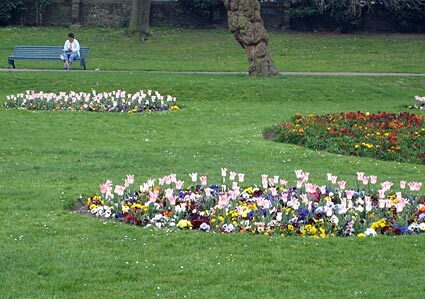 Some shots of the famed flower beds. 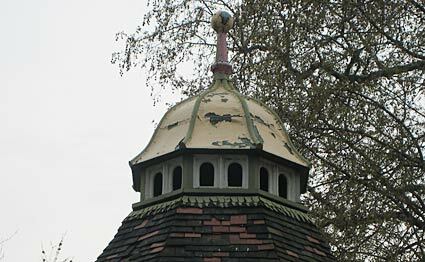 Built by the old London School Board, this striking building adds a fairytale skyline to the area around Myatts Fields. 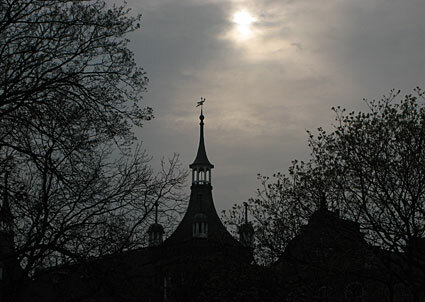 The building is serves as a school, and is used an annexe by girls of Charles Edward Brooke School. 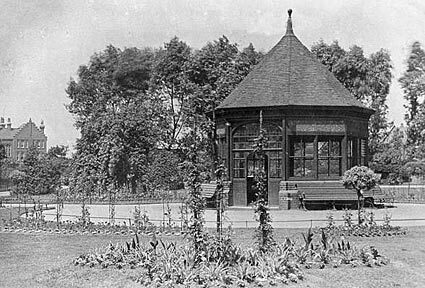 View of the summer house looking north west towards Cormont Road taken in 1909. 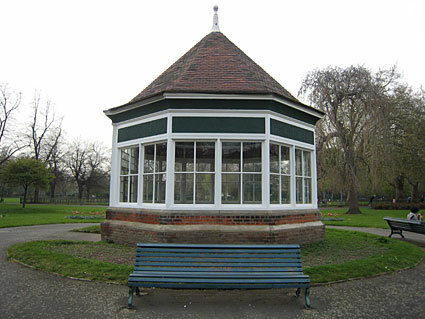 Another view of the summer house. 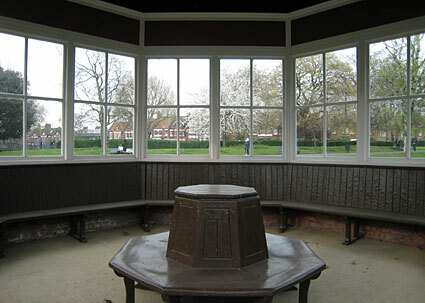 Looking inside (sadly it was locked so I had to peer through the railings). 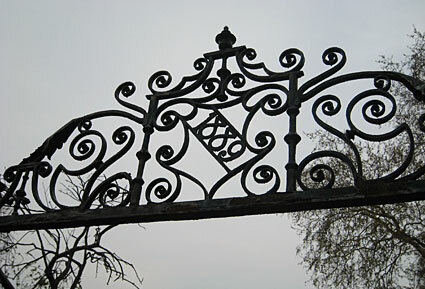 Ornate ironwork showing the date of the park's opening. 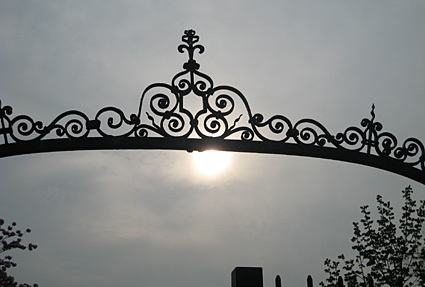 Details from one of the attractive entrance gates. 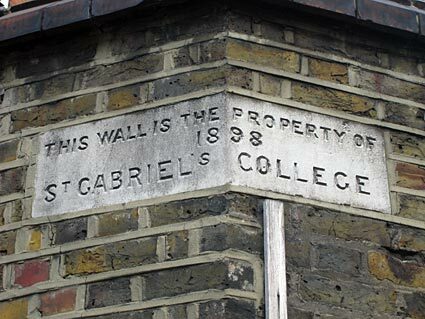 Nearby wall of the old St Gabriel's College, a residential girl's school.